Are you thinking of visiting Melaka and need somewhere to stay? Look no further! Melaka is a well-known UNESCO World Heritage Site with its ancient landmarks, heritage buildings, and colonial structures taking you back in time to the 18th century. If you’re planning on visiting this popular tourist destination, you’re going to need to make a booking for proper accommodation in order to have a truly spectacular stay. Making a Melaka hotel booking is a great way to ensure you get the most from your stay. Especially when trying to find the perfect hotel that meets your needs and is within budget. There are quaint guesthouses, breathtaking five-star hotels with relaxing spas, sumptuous dining venues, and sky-high swimming pools on the hotel rooftop to choose from. Here’s a list of some of the best accommodation offers available for you to make a selection. This is the administrative capital of the region with some of the most delicious cuisines in the world. The two grandest shopping malls in Maleka, Dataran Pahlawan Melaka Megamall, and Mahkota Parade, are to be found here. Ramada Plaza Melaka is one of the finest establishments in the hotel industry in Melaka. You’re sure to lose your heart to this fabulous five-star hotel in the heart of historical Melaka. It doesn’t matter if you’re travelling for business or leisure as you get to experience both the intriguing old-world joys and modern luxury. The rooms offer top class comfort and high-speed Internet access. The hotel has a swimming pool, fitness centre conference room for sophisticated businessmen and a banquet hall. The Explorer Hotel is an elegant cosy 2-star hotel consisting of 143 bedrooms providing a wide range of services and amenities like a shopping area, car park, meeting facilities, Wi-Fi in public areas, complimentary bottled water, non-smoking rooms, and lots more! The hotel‘s beautiful garden is the perfect retreat after a long arduous business or exciting touring day. A visit to Jonker Street takes you to the heart of Melaka’s Chinatown. Once upon a time, Jonker Street was an antique-collectors haven and the hotels come with some of the best budget options available. On Jonker Street, you get a wide variety of crafts, garments, and restaurant outlets. Casa del Rio Melaka is a five-star luxury hotel which is at a convenient 10-minute walking distance from St Paul’s Church and the Baba Nyonya Heritage Museum. It has 66 rooms, all offering free Wi-Fi, standard iPod docks, LCD TVs connected to satellite channels, deep soaking tubs, as well as furnished balconies. This is a 3.5-star hotel in Melaka within easy range of Porta de Santiago and Sam Po Kong Temple. The hotel rooms have free Wi-Fi, private bathrooms offering free toiletries, a hairdryer, and other bathing amenities. Guests are offered a complimentary Asian breakfast every morning. The hotel is at a distance of 87 km from Kuala Lumpur International Airport. Whatever your accommodation needs while you’re travelling in the region, making a Melaka hotel booking allows you to enjoy the best hotels available, ranging from luxurious to affordable cosy accommodation. 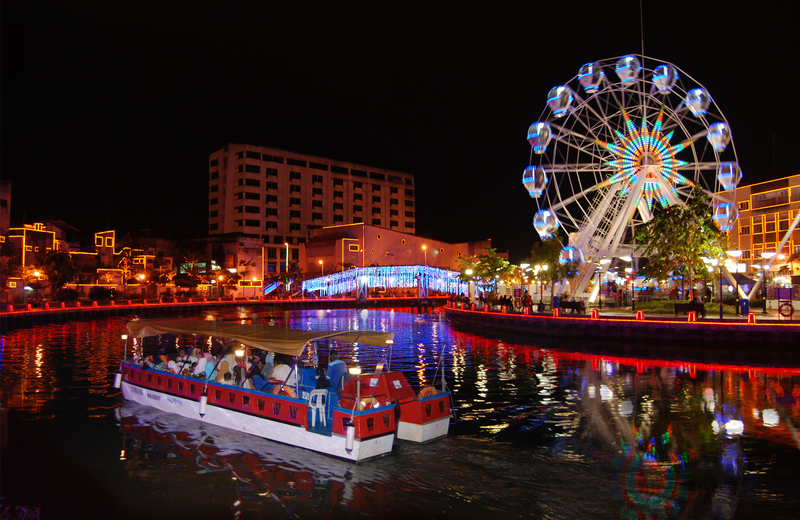 Don’t miss out on your chance to explore Melaka for yourself.